Three-time major winner Brooks Koepka will play in the Abu Dhabi HSBC Championship presented by EGA early in 2019. American Koepka will be looking to stamp his authority at the 14th edition of the award-winning event, which takes place from January 16-19 at Abu Dhabi Golf Club. Following an exceptional 2018, during which he became a double major champion, the 28-year-old Florida native battled for golf’s world number one status and was recognised as the PGA Tour Player of the Year. Blocking his path to victory is the event’s current reigning champion, back-to-back winner Tommy Fleetwood, and Koepka’s USA Ryder Cup teammate, 19-time winner on the PGA Tour, Dustin Johnson. Both Fleetwood and Johnson confirmed their return to the Abu Dhabi HSBC Championship, first staged in 2006, last month, reinforcing the elite nature of the tournament’s new Rolex Series status. 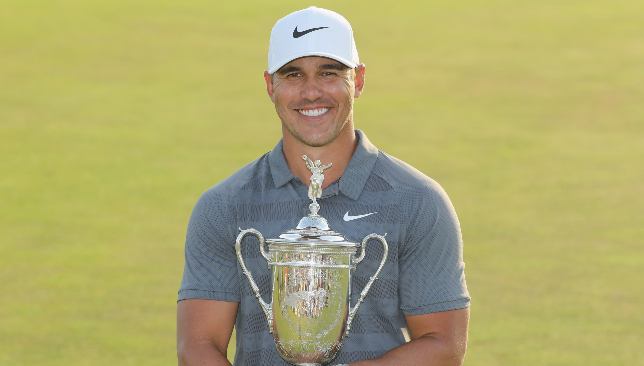 Reigning US Open and PGA Championship winner Koepka said: “I’m very excited to be taking part in this tournament again after such a long time away. 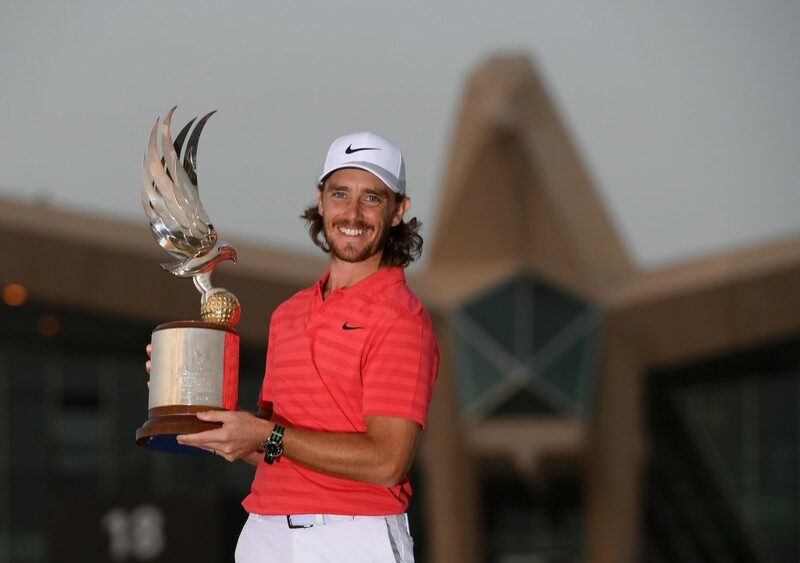 Tommy Fleetwood defended his title in Abu Dhabi at the start of 2018. “I’ve been determined to include it in my schedule as I keep hearing from DJ, Rickie (Fowler), Jordan (Spieth) and all the American guys what a great time they’ve had in Abu Dhabi. “I actually remember my last visit really well as it is undoubtedly one of the biggest and best events on the European Tour’s schedule. It always gathers an unbelievable field and the whole set up of the event is amazing along with the perfect weather conditions. “I wasn’t surprised at all to hear it had been awarded Rolex Series status and I can’t wait to return in January. Now part of the prestigious Rolex Series, the tournament now boasts a prize fund of $7million and is one of the premium tournaments on the European Tour. 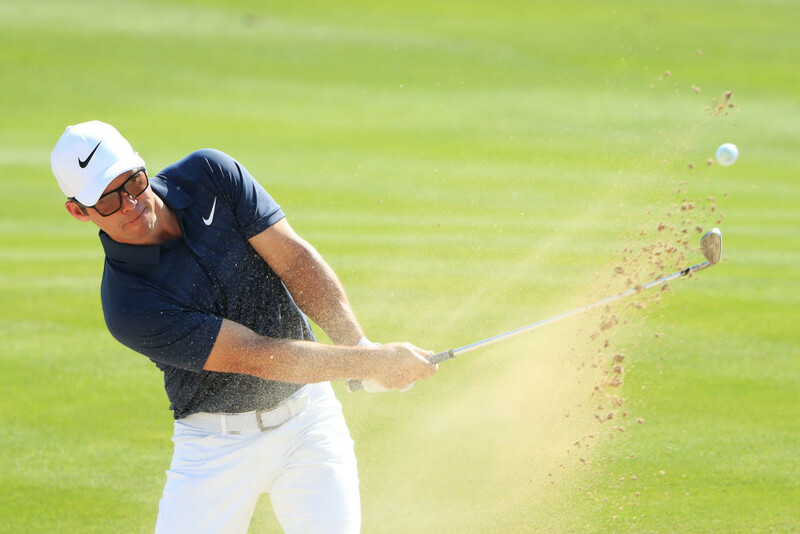 HE Aref Al Awani, general secretary of Abu Dhabi Sports Council, said: “Brooks Koepka has continued to battle it out for world number one this season and his participation in our award-winning championship reinforces its status as the premier golf event in the region. “This announcement again underlines our success in creating a spectacular sporting experience for both players and fans at the Abu Dhabi HSBC Championship presented by EGA. Tickets for the Abu Dhabi HSBC Championship can be purchased by visiting https://www.ticketmaster.ae/artist/abu-dhabi-hsbc-championship-presented-by-ega-tickets. Casey believes Europe's strength in depth is phenomenal. Paul Casey is in a unique position to comment on Europe’s prospects at this year’s Ryder Cup. The world number 14 has played in three tournaments himself – wining in 2004 and 2006. Above that, the Englishman has just returned to the European Tour after three years away. And while playing his way into a share of ninth at the Abu Dhabi HSBC Championship last weekend, he was hugely impressed with the depth at European captain Thomas Bjorn’s disposal. 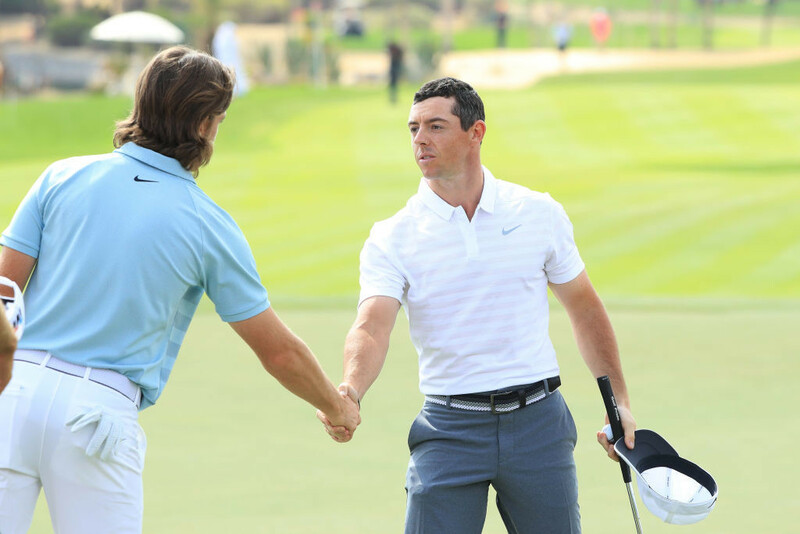 The top 10 players at Abu Dhabi Golf Club were all European golfers, including the likes of winner Tommy Fleetwood, Rory McIlroy, Thomas Pieters, Henrik Stenson, Matt Fitzpatrick and Casey, who have all appeared at the Ryder Cup previously. Fitzpatrick, 23, a player likely to make his second appearance in September at Le Golf National in Paris, was tied for third with McIlroy – with United States poster boy and world number one Dustin Johnson behind all of them in 11th. Even though the Ryder Cup is still nine months away, many experts are already proclaiming that defending champions America go into the tournament as overwhelming favourites. 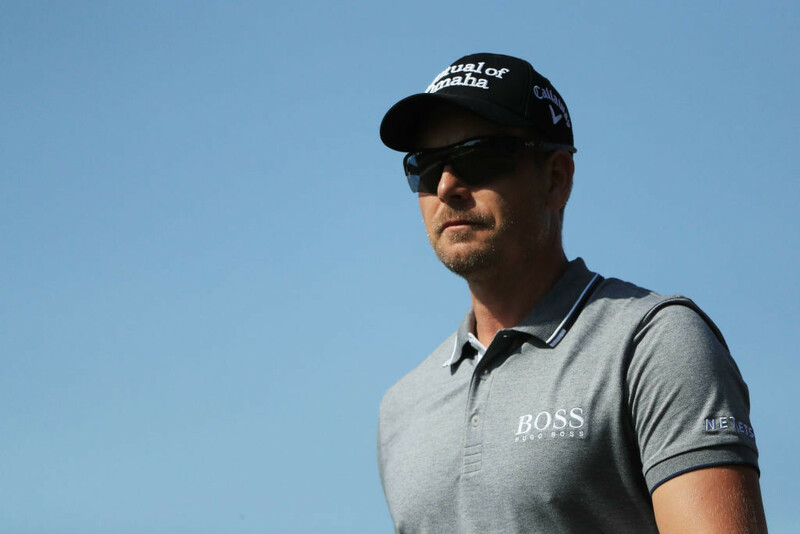 Henrik Stenson was another European who finished in the top 10. But Casey does not believe that to be the case. “The one thing I’ve noticed this week is the standard of European golf is better than when I left,” said the 40-year-old, who has called the US home for the last two decades and played the previous three seasons exclusively on the PGA Tour. On the two occasions Casey won as part of a European team, they humiliated their opponents, winning 18½–9½ at both Oakland Hills Country Club in 2004 and the K Club two years later. America, meanwhile, won by six shots two years ago in Hazeltine to halt three successive defeats. But Casey feels 2018 could be one of the most competitive in recent memory. “It’s nice for us it’s on home soil. I think it will be brilliant. I’ve been part of some amazing Ryder Cups, the K Club and Oakland Hills. “I wasn’t part of Medinah, Gleneagles or the Celtic Manor but we have the potential to have one of the best teams ever with the depth, and it would be really cool to be part of that. 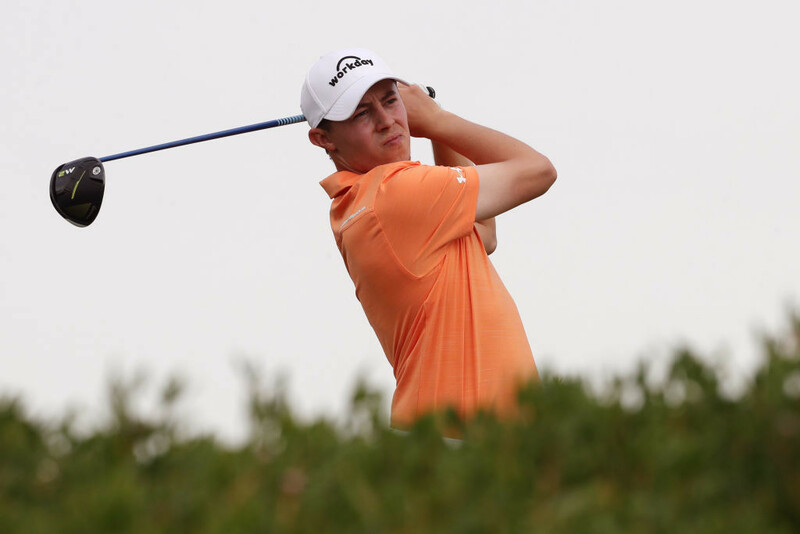 Matthew Fitzpatrick finished tied third with Rory McIlroy at Abu Dhabi. “We’re happy to play the underdogs. The Americans are very strong and seem like they have a wonderful team spirit. You never know what’s happening in the team room, but it looks like they have a brilliant team dynamic, something we’ve prided ourselves on through the years. “It’s maybe been our 15th club or 13th man. They seem to have the same thing. So when you put it on paper it’s a very stern test. It’s why I’m excited to be back. Even though he’s back on the European Tour with a view to being selected, Casey’s 2018 schedule is still heavily US-focused, though the criteria has been altered so players must participate in four European Tour tournaments as opposed to five in previous editions. Something else that has also changed for this year is there are now four captain’s picks as opposed to three. As it currently stands Casey would have to rely on being one of those picks as the eight automatic selections – based on being in the top four on both the European Points List and World Points List – put Fleetwood, Fisher, Fitzpatrick, Justin Rose, Tyrrell Hatton, Jon Rahm, Sergio Garcia and Paul Dunne as the men in the driving seat. There is, however, plenty of time for those rankings to change, and Casey is just focused on getting his game to a level where he can contribute to Europe’s cause. “I’ve discussed it with Thomas and my team, I’m not going to change my schedule just because it’s Ryder Cup year,” he added. “The best thing I can do is play the quality of golf I’ve been doing the last few years. If I can do that, touch wood, I make the team. Europe wants a Paul Casey who’s playing great golf. 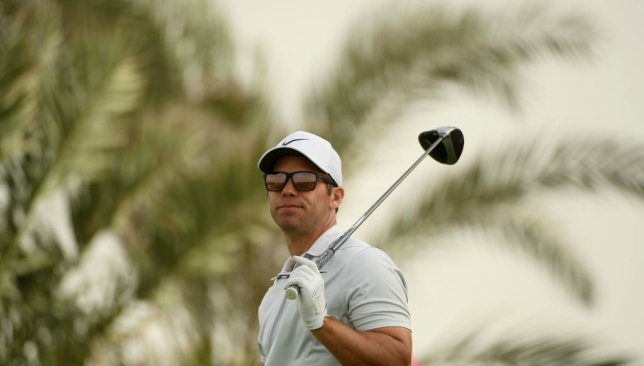 Paul Casey playing great golf is an asset. Casey is confident of making the cut for the Ryder Cup team. Casey is delighted to be back on tour, and not just because it’s a requirement if he wants to appear in France. “I’ve really enjoyed being back. It’s been a fantastic week,” he said. “Obviously I’d like to have been challenging Fish, Rory and Tommy, but still really good and successful. “The start of the season, it’s really important to play my minimum requirement in Europe. Last week the EurAsia Cup and this week. I was always going to come and play here. I’ve got too good a relationship with HSBC and Abu Dhabi to skip it. “I haven’t even seen the chipping green this week, not even ventured over there. It’s been great. It’s weird because I’m probably the only guy who’s probably stepped away and come back through choice. McIlroy thinks Fleetwood's addition is a big plus for Europe. Rory McIlroy feels Tommy Fleetwood will be a “great addition” to the Europe Ryder Cup team for this year’s event, being held in France. Fleetwood has enjoyed a whirlwind 16 months, rising from 188th in the world to 12th after retaining his Abu Dhabi HSBC Championship title on Sunday in the UAE capital. He became European number one at the end of 2017 as he claimed the Race to Dubai crown in November. And he is now firmly in the reckoning to make Thomas Bjorn’s Ryder Cup team in Paris in September – he is currently ranked fourth on the European World Points list and if the team was picked today, would comfortably be in the eight automatic picks. World number 11 McIlroy was in contention in Abu Dhabi, finishing tied third with Matthew Fitzpatrick – another man currently inside the top eight too. 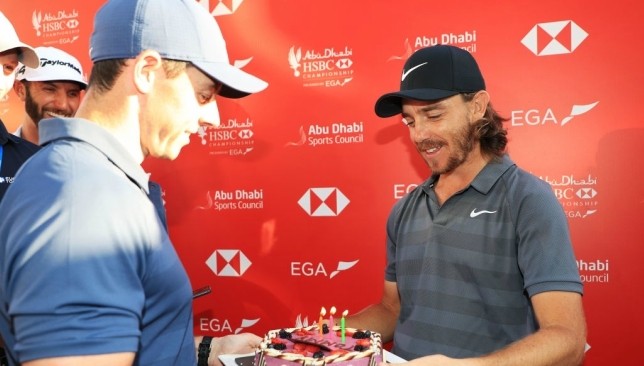 Northern Ireland’s McIlroy looked fantastic on his first return following more than three months out with a rib injury, but again suffered Abu Dhabi heartbreak – it was his second third-placed finish, and he has also finished second four times in the capital. McIlroy finished third in the Championship as Fleetwood triumphed. At the moment he would be relying on being selected as one of Bjorn’s four captain’s picks, but McIlroy is pleased with Fleetwood’s meteoric rise, labelling it “incredible”. “He had a great year last year, won the Race to Dubai, No1 in Europe and then to just keep going. This week, defending champion, to put that round of golf together out there (on Sunday), 65 in those conditions is seriously impressive,” said an impressed McIlroy, 28. McIlroy’s challenge faded on Sunday in blustery conditions, only managing a -2 under 70, whereas Fleetwood’s fabulous -7 under saw him retain a title that kick-started his revival 12 months ago. And McIlroy feels Fleetwood will be a great addition to Team Europe as they host this year’s competition at Le Golf National in September, with the knowledge that the United States haven’t won in Europe since 1993 at The Belfry. “He’s a great addition to the world of golf, a great addition to the European Tour and will be a great addition to the Ryder Cup team in September,” added McIlroy, who will hope to make his fifth consecutive appearance. “I think the field that was assembled here this week is very, very strong, having the world No1 here and you had a lot of strong players.